A study of Spanish libertarian thought in the 1930s maintains that no one exceeded Besnard’s influence ’in the ideological configuration of Spanish anarchosyndicalism during the Second Republic’.’ By the end of the 1930s, however, the French CGTSR was in retreat and the Spanish CNT had disavowed Besnard. This article examines the efforts of inter-war France’s most important anarchosyndicalist to adapt doctrine and practice to the new economic and political conditions flowing from the First World War and the Russian Revolution. It first analyses those aspects of Besnard’s thought most germane to issues of workers’ organization and action in present and future. It then turns to the reception of his thought and considers a number of interrelated practical, doctrinal, strategic and personal constraints that circumscribed his success. The economic and political transformations ushered in by the First World War and revolution provoked a good deal of self-examination within the European labour movement. New levels of co-operation between national governments on the one hand and socialist parties and trade unions on the other, such as the CGT’s participation in the union sacree, had to be assessed anew with the return of peace. So did a workers’ revolution in Russia, the cynosure of radicals beyond its borders, which temporarily united dissidents in the labour movement. Sanctioned by a new revolutionary Third International and seemingly validated by the Russian revolutionary experience, new Communist parties, severely indicting socialist reformism, won widespread support. Despite the challenge the Communists presented to the traditional autonomy of the unions enshrined in syndicalist doctrine, many European syndicalists rallied to the new, radical parties on the left. The radicalizing effects of the war and the threat of revolution at the same time produced in Fascism a new anti-democratic movement of mass mobilization on the Right. The war had brought not only economic hardship, but also unprecedented state intervention, purportedly in the interests of economic efficiency, thus providing an unforgettable example of the activist state, even if most governments, as in France, sharply curtailed such engagement with the return of peace. The 1920s witnessed extensive economic rationalization, capitalist reorganization, vast technological expansion and transformation, all accompanied by efforts to rethink economic problems, processes and structures. Just as the terms ’Communism’ and ’Fascism’ altered the lexicon of political discourse, the vocabulary of ’rationalization’, ’Taylorism’, ’corporatism’, ’technocracy’ and ’Fordism’ spread in the language of economic change in Europe, both of those who sought to modernize the economy in the interests of optimal profits and of those on the Right and Left who saw wider social transformation as the goal. The effects of war and revolution were quickly felt in the CGT.8 The chief bearer, prior to 1914, of revolutionary syndicalism - the most distinctive French contribution to modem European labour thought and practice - and the largest syndicalist organization in pre-war Europe, the CGT did not survive the First World War and the immediate post-war revolutionary ferment intact. Building on strong reformist impulses within the pre-war organization, encouraged by wartime co-operation with government and employers, convinced that workers were best served by a policy of economic expansion and piecemeal reform, the CGT leadership demonstrated its post-war orientation in the Programme minimum of December 1918.9 Predicated on an extension into peacetime of the co-operative, wartime union sacree, this landmark document called for the expansion of union rights and a statutory eight-hour day, but also for partial nationalization (but not state management) as well as a vast programme of industrialization, technological advance and intensified productivity, co-ordinated by a National Economic Council composed of representatives of the producers, consumers and the state. CGT Secretary Leon Jouhaux’s Programme minimum demonstrated how far CGT leaders had moved from the pre-war policies of workers’ direct action, self-reliance and opposition to the state. Although purportedly embodying only its minimum demands, the Programme symbolized the CGT’s retreat from revolutionary syndicalism and set it on a post-war course of advocacy of reformism and collaboration with government in a jointly restructured economy. By the mid-1920s Jouhaux was speaking of the need for the CGT to be represented in every arena in which workers’ interests were discussed, of the ’politique de presence’.’° In the 1930s the CGT would be the primary proponent in France of a planned economy, blending private and collective enterprise.&dquo; Its immediate post-war leadership, moreover, actively resisted the siren call of Moscow, carrying the CGT instead into the revived and reformist International Federation of Trade Unions, within which Jouhaux became Vice-President. Discouraged by the CGT leadership’s hesitancy in a series of post-war strikes and inspired by the Russian example, dissidents who had come to view the wartime union sacree as a violation of the revolutionary traditions of the CGT repudiated this reformist turn. But the dissenters were united more by opposition to the CGT majority and a desire to win the organization for Moscow, whose Red International of Labour Unions would soon emerge, than by agreement on any further positive programme. Once the CGT split (the founding of the Parti Communiste Frangais at the end of 1920 had already split the Socialist Party), new divisions immediately surfaced within the infant CGTU, even before its formal founding congress in the summer of 1922. Early Communist ascendancy within the CGTU compelled those committed to the policy of political independence of the pre-war CGT to ponder strategy. After the mid-1920s three options were available to such dissidents. The oldest option was to organize in autonomous unions, unaffiliated with either the CGT or the CGTU. The journal La Rgvolution prolétarienne, which began publishing in January 1925, represented the second option. The journal’s founders, pre-war revolutionary syndicalists inspired by the Russian revolutionary achievement, had been drawn into the Communist Party. They found the party’s insistence upon the subordination of the unions unacceptable, however, and either resigned or were expelled from it. Pierre Monatte, Robert Louzon, and especially Maurice Chambelland, became the mainstays of the inter-war Révolution prolétarienne, whose supporters sought to recapture and reunite the CGT and the CGTU from within.’2 The CGTSR, founded in November 1926, represented the third option. Its first Secretary was Lucien Huart, but for over a decade Pierre Besnard served as the chief spokesman of the CGTSR, in whose name he interpreted the consequences of the Bolshevik experience and the war for the revolutionary trade union movement of France and beyond. In Besnard’s view the post-war working class would have to reorganize itself within the framework of a series of lessons derived from a rethinking of the events of the Russian Revolution. First among them was that the formal pre-war position of the CGT of neutrality vis-a-vis political parties no longer sufficed. The Revolution had demonstrated that union co-operation with such parties meant the subordination of the unions. Complete independence had to be maintained by the unions, which constituted a self-sufficient means of revolution aimed at instituting decentralized workers’ control, while political parties inevitably aimed at the consolidation of centralized state power. What was implicit in the Charter of Amiens - that revolutionary unions and political parties were rivals seeking to restructure society according to incompatible visions - became explicit in the Charter of Lyon. 13 The CGTSR rejected a debilitating neutrality in favour of open opposition to political parties. A second lesson, derived from a reappraisal of the Russian institution of the soviets, reaffirmed not only the autonomy but the primacy of the trade unions. Syndicalists initially hailed the soviets as institutions combining occupational representation and workers’ autonomy. Early enthusiasts sometimes saw in them a means of bridging the pre-war divisions between centralists and decentralists in the revolutionary movement. ’There is in the Soviets a posthumous triumph for Marx and Bakunin’, one of them asserted in 1919, ’reconciled on the plinth of the Russian Revolution’.’4 At one time Besnard shared this view. In 1921 he wrote that the system of soviets ’is based on the producer and rests on the same plan of action and of construction as French revolutionary syndicalism’. But Besnard soon concluded that the Russian Revolution had revealed the shortcomings of the soviets. The soviets, after all, were not class organizations in that they were not wholly union-based. That they admitted representatives of political parties meant they could become, as they had in Russia, organs for the institutionalization of party power. The soviets, moreover, mixed economic and administrative functions, thereby confusing and mismanaging two discrete tasks.’6 The local organization co-ordinating production must be a true producers’ association, the local union, not the soviet. The slogan ’All power to the unions!’, however, was alien to Besnard, as we shall see. Third, the unions were not only sufficient means of revolution through an insurrectionary and expropriatory general strike, they were sufficient to defend the revolution as well. The Russian example had confirmed that the revolution could not be defended by a separate military arm, such as the Red Army, which would inevitably become a weapon for the establishment of centralized and dictatorial state power. The need to provide for the permanent, armed defence of the revolution without establishing any kind of permanent army, whose inherent dangers the Napoleonic and Russian examples unmistakably illustrated, became a recurrent theme in Besnard’s writings. The destruction of political power and internal and external defence required armed force, but the revolutionary elements in the military had to be won over and absorbed by a volunteer proletarian force under the control, like the arsenals, of the unions. In place of a permanent army Besnard advocated an armed proletariat. 18 Fourth, the Russian example also demonstrated that the success of revolution depended upon the response of the peasants. To fail to win their support, to fail to establish a harmonious and mutually beneficial exchange between the cities and the countryside, above all to coerce the peasants by requisitioning, ensured the failure of the revolution. The need to win peasant support well in advance of the revolution also recurred in Besnard’s writings.’9 The First World War, in Besnard’s opinion, had not only created in the form of the Russian Revolution a sort of political laboratory from which the workers’ movement must draw lessons, it had also ushered in a new economic era in civilization. The application of scientific and technical progress, first to war industries and then’ beyond them, had radically transformed conditions of production, telescoping a century’s change into 15 years. Progressive elements within both the capitalist and working class recognized the need to restructure the social order, but the capitalists proved to be better informed, more insightful, and had organized themselves accordingly. They understood, as Besnard put it, ... that it is a matter not only of ’rationalizing’ production, exchange and credit, but that it is necessary above all to ’rationalize’ their interior organization, to discipline their elements, to prepare modem cadres, to establish the bases of a new social order, whose establishment has become necessary in order to ensure the perpetuation of the privileges of class: property and authority, which for capitalism are the great bases of the regime’. If to the contrary the proletariat is informed m advance, it will freely decide what it wants to do. It will choose its objective, its means and its route. If it cannot make these choices, if it persists in ignorance, if it awaits the messiah and the miracle, it will be subjected to the dictatorship of a handful of men, a dictatorship that will be all the heavier in that the ’conductors’ themselves will know neither where to go nor where to lead the others. Contrary to what is thought in certain circles, professional conscience has not disappeared since the Middle Ages. It has simply changed and, like everything else, evolved. It is different, but it has survived m its entirety. It is other, but it is not inferior. In our century of ever greater speed and ceaselessly more complicated technical adaptation, the modern worker no doubt no longer has the time to’ put the finishing touches’ m the manner of his ancestor, but he takes no less interest m his task. His attention is applied more to the whole than to the detail, to precision than to embellishment. But he produces no less often a work of art. Is the airplane engine not as beautiful to contemplate, even for the uninitiated, as the wood carving of the Middle Ages? As this passage suggests, Besnard envisaged a second administrative structure, paralleling the economic, productive and syndical one based upon industrial unions and local cross-industry unions. This second, social administrative structure would rest upon communes. The administrative tasks assigned to the communes - Besnard discusses them in some detai149 – include those dealing with education and leisure; social assistance and public health; statistics; public works; housing; transportation and communication; individual and collective security; and arts and science. Communes were to be federated, leading up to a National (or International) Confederation of Communes, but would rest upon the individual inhabitant at the base, just as unions were federated into a National (or International) Confederation of Labour, but would rest upon the individual worker or producer at the base. These parallel networks were to be linked horizontally at each level. At the national apex a Grand Council of Workers would administer public life, economic and social. The Grand Council of Workers, in short, would replace the centralized state, but would possess absolutely no authority.,’ That would reside solely with the united congress of representatives of the unions and the communes, with the Confederation of Labour responsible to the unions, the Confederation of Communes to the communes, and each union and commune responsible to its members. ’The worker, on the economic terrain, the individual, on the administrative and social terrain, that is to say Man under his two aspects’, Besnard explained, ’are therefore completely masters of their acts’. The role of the communes in this scheme makes it clear that to synthesize Besnard’s thought in the slogan ’All power to the unions’ is to misrepresent him. 52 Besnard in fact explicitly rejected this slogan, both for its undue emphasis upon power and its single-minded focus upon the union organization. He summed up his own position in the phrase ’All economy to the unions! All social administration to the commune!’S3 It is also clear that there is no place in this conception for an exclusive administrative or governing role by those with technical expertise. The technician remains, in this vision, only one of many workers operating democratically within her or his own union, one of many inhabitants operating democratically within his or her own commune. Besnard’s vision was not the centralist vision of the productivist technocrat, but the vision of a decentralized association of self-managed producers. In his view it was simply the syndicalist vision.54 If Besnard’s vision was by no means technocratic, was it compatible with the corporatism much discussed in Europe in the 1920s and 1930s? Any correspondences are incidental. Only in the narrowest sense of proposing some sort of occupationally based alternative to parliaments is there anything of contemporary corporatism in Besnard’s work. The replacement of parliament by workers’ organizations was a long-standing syndicalist goal, embodied implicitly in the Charter of Amiens. The Charter of Lyon is more explicit, noting that ’the citizen, a fleeting, unstable and artificial entity’, will give way to ’the worker, a living reality, the logical support and natural motor of human societies’.55 The occupationally-defined groupings that corporatists saw as the natural units of economic life, by contrast, incorporated all those engaged in any given profession, employers and workers alike, who were to recognize the regulatory decisions of the corporation. The corporatist vision made no allowance for syndical autonomy. Corporate decision-making, moreover, by no means implied the collective ownership that Besnard presupposed; private property would survive, though yielding to corporate management. Equally antithetical to Besnard’s views was the central corporatist goal of social solidarity. ’The very kernel of corporatism’, Matthew H. Elbow has written of the French example, ’was the doctrine of social peace, of solidarity between classes’.56 Contemporary corporatism held that class antagonism could be resolved, differences harmonized, within a new institutional form that would eliminate conflict, but not classes themselves, for the greater benefit of all. Such a class transcending and mediating yet class-preserving corporatism was wholly alien to Besnard’s thought. He remained faithful to the syndicalist premise that class interests are antagonistic and irreconcilable, that in his words their opposition is ’constant, permanent and systematic. ’57 And despite the general antiétatiste proclivities of French corporatists, however much regulative functions devolved upon professional organizations in corporative thought, the state did not disappear, but remained to administer social legislation and enforce decisions. As Besnard noted, corporatism required the integrative presence of the state. 58 But he remained implacably opposed to the state in every form, whether it be the mediating corporatist state, the liberal parliamentary state, or the purportedly proletarian dictatorship. Besnard’s thought, in short, remained poles apart from the inherently conservative corporatism of his day: he rejected class uniting corporations as the fundamental productive organs of society, just as he rejected those other institutions that corporatism sometimes also advanced as natural social fundaments, the family and the regional body. Besnard urged that in contemporary society working-class parents must assume a greater role in the education of the young, outside of capitalist institutions, as must the unions. Union-sponsored education should be professional, but also explicitly social and sexual and should extend to both genders, not as males and females, but as ’perfectly equal beings destined to join together, to struggle and to work together at common tasks’. In Besnard’s future society marriage would be replaced by free unions, parental authority would fade, leaving only bonds of natural affection, and the first responsibility for the free and competent development of children would rest with the collectivity.59 As for regionalism, while Besnard believed that France’s outmoded historical departments would yield to new regions based on natural geo-economic factors, he also argued that they would be represented not by corporate bodies but by regional workers’ organizations. If Besnard’s advocacy of industrial organization proved too anaemic for most industrial unionists, his vision in some ways outstripped his own constituency in the CGTSR. It is noteworthy that support for the CGTSR came typically from small, local craft unions in construction, leather, clothing, hairdressing and metalworking.67 Such unions sometimes had little opportunity to pursue industrial unionism, operated with varying degrees of success without mass action by depending on their local monopolization of skill, and found activist rhetoric compatible with and useful in their situation.68 Despite Besnard’s defence of industrial unionism, the CGTSR remained a markedly artisanally-based association, more so, ironically, than the wider syndicalist movement in inter-war France, taken as the syndicalist minorities in the CGT and CGTU, the syndicalist autonomists and the CGTSR.69 In the small workplaces of the typical CGTSR member, moreover, workers themselves tended to monopolize expertise; a separate technician or engineer was all but unknown. Nor is it likely that the skilled artisan would welcome the translation of Besnard’s single wage from theory to practice, despite Besnard’s advocacy of the need ’to ally the ideal with interest, to see to it that the first inspires human action for the defence of the second’. It is not surprising that although the CGTSR formally endorsed a single wage, the demand appeared with decreasing frequency in the ongoing propaganda of its journal, Combat syndicaliste.&dquo; Finally, for all of Besnard’s praise of technological advance, the workers affiliated with the CGTSR included some of those least challenged by technological change during this period.’2 In short, Besnard’s vision and the constituency of the CGTSR formed a rather imperfect match. They converged above all on two issues: local orientation and action and hostility to political activity, understood as the electioneering and parliamentarism of political parties. But important elements of Besnard’s rationalized syndicalism found little resonance among some members of the CGTSR. Besnard argued that syndicalism was only the interpretation of life, but his own interpretation derived more from the contemplation of a wider workers’ experience - however selectively and idiosyncratically Besnard may have read it - than from that of his immediate constituency. In May 1922, the journal Vie ouvridre, then in a Communist-syndicalist phase, observed that syndicalism was ’a practice in search of its theory’.’3 In many respects Besnard’s vision constituted a theory in search of its practice. But the biggest barrier to the expansion of the CGTSR was the decision to update its creed by abandoning the pre-war neutrality of the CGT in favour of an explicitly anti-political stance. This position may have been more consistent than the political neutrality that the Charter of Amiens uneasily combined with the professed goal of a revolutionary society ushered in by, and structured on, the trade unions, without reliance upon state authority, but it sacrificed the procedural protections that the Charter had instituted against ideological divisions. The Amiens Charter sought to keep party politics out of the unions while at the same time denying to no unionist the right to engage in political action personally, outside the union. It won wide support not because it repudiated political action, but because it provided a programmatic safeguard against the threat ideological dissonance posed to organizational unity. Besnard insisted that the CGTSR represented the continuation of the pre-war CGT. But the CGTSR’s anarchosyndicalism in fact sharply diverged from the political neutrality of the pre-war organization. The prewar CGT had assumed defensive and offensive functions; to discharge them it sought to ban all sectarianism in order to group all workers around their immediate interests. The inherent dilemma in pre-war syndicalist thought and strategy was that the pursuit of immediate interests required incorporating the widest possible range of workers, which threatened to dilute the influence of the minority dedicated not merely to temporary gains but to eventual revolutionary objectives. The alternative, to unite the committed revolutionaries separately, risked isolating them from the wider masses of workers whose support they themselves deemed necessary to revolutionary success. The pre-war revolutionary unionists had enjoyed a disproportionate but by no means unchallenged influence within a CGT that attempted to group all workers and insisted upon political neutrality to do so. The anarchosyndicalist CGTSR never escaped the fate of marginalization on behalf of revolutionary purity. Although anarchosyndicalist in creed, the CGTSR was not so in name. It called itself instead a revolutionary syndicalist organization, for ’anarcho-syndicaliste’ was a pejorative term introduced before 1914, and employed even more widely as such after the war. 74 In the early 1920s, supporters of Moscow, the better to distance the ’syndicalist’ workers whom they hoped to win to the cause from those they regarded as obstructionist extremists, indiscriminately denounced as ’anarchosyndicalists’ their varied far-left opponents in the labour movement who opposed political action and alliances. Any claim, moreover, to be the true heir of the pre-war CGT - and Besnard argued that with the formation of the CGTSR French syndicalism, like Lazarus, rose from the dead75 - could be advanced only under the mantle of ’revolutionary syndicalism’. But if the CGTSR could speak for anyone in the pre-war CGT, it could speak only for a small minority of anarchist inspired syndicalists. Both Besnard’s rivals of Révolution Prolétarienne and the CGTSR espoused a federalist, anti-statist, autonomist, revolutionary trade unionism and both did so explicitly under the rubric of ’revolutionary syndicalism’.’6 Both drew their inspiration from the pre-war CGT. But Besnard and the CGTSR concluded that neutrality could not prevent corruption by co-operation with the state or counter-revolutionary collaboration with political parties. ’The antipolitical character of the C.G.T.S.R.’, Combat syndicaliste declared, ’is the safeguard of its revolutionary character’. Révolution prolitarienne, on the other hand, concluded that only neutrality could overcome the divisions, themselves inherently counter-revolutionary, within organized labour. Its supporters therefore remained within the CGT and the CGTU, working to fuse the two into ’a single apolitical C.G.T.’ Consequently, they dismissed Besnard, the chief architect of a third CGT, as an ’apostle of schism’. 78 By placing neutrality and unity first, Revolution prolétarienne, and not the CGTSR as Besnard believed, had the greater claim to be the inter-war torchbearer of revolutionary syndicalism. Critics sneered that the SR in CGTSR stood for ’Sans Rien’.84 Besnard’s career appears to confirm Monatte’s observation of Besnard’s need to have ’sa maison a lui’.g5 When Besnard became the General Secretary of the Syndicalist International in 1936,86 moreover, his schismatic and sectarian propensities, combined with the pressure of events in a Spain in civil war, led to a crisis within the International. In Spain, where a social revolution initially accompanied the civil war, the hard-pressed CNT soon believed it necessary to subordinate its revolutionary programme to the war against Franco. Above all the formal militarization of the informal militias originally fielded by the Spanish labour organizations, and the participation by CNT representatives in the Catalonian and later the national Republican governments, symbolized this suspension of syndicalist principles. Besnard was among the first foreign syndicalists publicly to criticize CNT leaders, 81 who regarded external reproaches as inappropriate in a period of civil war. Disagreements between Besnard and the CNT over foreign propaganda and fund raising on behalf of the Spanish syndicalists further embittered their relations .81 Critical of its ideological deviations and fearful that the CNT might abandon the International, Besnard in July 1937 canvassed the International’s national affiliates, except the CNT, on possible support for an internal opposition within the Spanish organization .81 The Secretary of the International was considering splitting its largest national affiliate. The crisis led to an Extraordinary Congress of the International, with 11I countries represented, in Paris in December 1937, in which both CNT leaders and Besnard came in for heavy criticism. Besnard took the view that his writings had established proper syndicalist strategy; had the CNT only followed it, all would have been well in Spain. For their part, the Spaniards insisted that Besnard never hold office within the International again. The role that Besnard had more than once played in the French labour movement - of precipitating an organizational crisis in the name of ideological purity - he also played in the international arena. The adequacy of syndicalist doctrine and strategy had been called into question before 1914, when diverse revolutionaries sought to reinvigorate a flagging CGT, reconsidering priorities, casting about for more efficient organizational forms to unite all workers without abandoning either union autonomy or a revolutionary agenda. War and revolution accentuated that challenge, for if economic concentration and rationalization continued only gradually in post-war European society, new national and international political options emerged quickly for the labour movement, and in both war and revolution an unprecedentedly interventionist state had emerged. Discussing ’the two syndicalisms’ in the CGT in 1913, the reformist printer H. Jury argued that ’sound syndical theory ... can and ought to develop in the shelter of republican and democratic institutions’. Indiscriminately bunching his anarchist, revolutionary syndicalist and revolutionary socialist adversaries in a second camp, for purposes less analytical than polemical, Jury asserted that ’they prop up their methods on utopias or fantastic theories [theories abracadabrantes]’ .90 The post-war CGT embraced a variety of Jury’s reformism and struck its uneasy deal with the democratic state. The CGTU, espousing revolution but forfeiting union autonomy, struck its own deal with the Communist party. Over a decade later the reunified CGT would enter into the political alliance of the Popular Front. The appeal of the CGTSR for a federalist, autonomist, revolutionary trade unionism, in short, found relatively little resonance within the inter-war labour movement. The CGTSR’s self-identification as ’the continuation of the C.G.T. of 1 906’,~’ moreover, constituted a case of mistaken identity, for Besnard conflated the small minority of anarchist syndicalists in the prewar CGT with revolutionary syndicalism as a whole. He therefore saw the task of updating syndicalism, and that of adapting the legacy of such anarchists as Michael Bakunin, Peter Kropotkin and James Guillaume to a modem capitalist world,92 as one and the same. The CGTSR struggled to keep one strand of pre-war syndicalism alive, but remained fettered by an explicitly anti-political doctrine of limited appeal and an organizational strategy that fostered self-isolation. It could provide no evidence that an anarchosyndicalist direct actionist creed could inspire a mass union movement in the much altered circumstances of inter-war France. Besnard nevertheless earned a distinctive position in the history of French syndicalism, and beyond it. His writings not only constitute the most systematic statement of French anarchosyndicalism in the twentieth century, but by incorporating a sustained attempt to adapt that tradition to post-war conditions, they testify to a modernizing current within it. The post-war CGT’s implicit reformism, its opening to the prospectively conciliatory and mediating state on the one hand, and the CGTU’s revolutionary programme on the other, had much greater appeal in those new conditions, but Besnard was not without influence in France.93 Like his mentor Griffuelhes, who died in 1922, Besnard died (1947) in the wake of a great war uncertain about what role to take up in the post-war labour movement. The reappearance of Combat syndicaliste after the Second World War and its continued appearance in the 1990s, however, bears witness to the persistence of anarchosyndicalist impulses in modem France .94 Beyond inter-war France, moreover, in the Spain of the 1930s, where neither Besnard’s personality nor his strategic preferences were an immediate issue, his writings had greater impact. Anticipating a workers’ revolution in Spain in 1936, even Besnard’s syndicalist rivals in France, such as Révolutionnaire Prolétarienne and Georges Valois’s Nouvel age, conceded the influence he commanded there.9’ When civil war and attempted revolution came, however, the CNT found itself confronting hard ideological choices and a Besnard elevated to the head of the Syndicalist International. To the beleaguered leaders of the CNT, daily confronting the realities of a desperate civil war, the Besnard of 1937 appeared to be hopelessly doctrinaire, a man wedded to ’theories abracadabrantes’. Besnard asserted that syndicalism was not an imposed theoretical construct, but simply the constant interpretation of a perpetually evolving working-class experience. In this he echoed the pioneer syndicalist Fernand Pelloutier, the prime mover in the early Bourses du Travail movement in France, who wrote that the labour unions ’scoffed at theory, and their empiricism ... is worth at least all the systems of the world, which have precisely the duration and exactitude of predictions in the almanac’.96 And yet Besnard proved to have a far more formulaic mind than Pelloutier. His claim merely to be interpreting the workers’ movement never concealed his penchant for imaginative - one is tempted to say prescriptive - extrapolation from it. His old rival in France, Pierre Monatte, later called Besnard a typical utopian. And it is under the rubric of utopian, and not that of explorer suggested by his admirer’s comparison of Besnard with Christopher Columbus, that we must finally consider him. For while Columbus found what he had never imagined, Besnard imagined what he had never found. Ultimately Besnard best fits in the tradition of the Condorcets, Saint-Simons, Fouriers, and others, about whom Frank Manuel wrote over 30 years ago as the ’prophets of Paris’.98 Certainly no French syndicalist contemplated a prospective syndicalist revolution and postrevolutionary society as fully as Besnard, a notable twentieth century contributor who added an anarchosyndicalist version to a long standing tradition of French utopian thought. Utopian thought at some level charts human aspirations and hints at human possibilities by suggesting that mankind need not forever be tied to what is, but should always consider what might be. As Oscar Wilde put it, ’a map of the world that does not include Utopia is not worth even glancing at’.99 Besnard’s utopia, it is true, drew only a minority of workers in inter-war France; his vision was not able to compete with the more present-minded offerings of the reformists or the revolutionary credentials and promises of the Communists. What the earlier prophets of Paris had already learned, Besnard, who earned a place among them, also learned: that however absorbing it may be to contemplate one’s destination, it is always easier to plot the itinerary than it is to make the journey. I am grateful to the Social Sciences and Humanities Council of Canada for funding the research on which this article is based, and to Carmela Patrias for her useful comments on its first draft. CGT Confédération Générale du Travail. Founded in 1895, the CGT merged with the Bourses du Travail in 1902 to become the largest and most influential syndicalist organization in pre-war Europe. In 1921-2 pro-Moscow Communists and syndicalists broke with the increasingly reformist CGT and formed the CGTU. CGTU Confédération Générale du Travail Unitaire. Founded in 1922, the CGTU became Communist-dominated in the next two years. The CGTU and the CGT merged in 1936. CGTSR Confédération Générale du Travail Syndicaliste Révolutionnaire. Founded in 1926, many members of the CGTSR were ex-members of the CGT and the CGTU. The Confédération Nationale du Travail, founded in 1946, emerged as the post-Second World War continuation of the CGTSR. CNT Confederación Nacional del Trabajo. Founded in 1910 and banned in 1911, this Spanish syndicalist organization was resurrected during the First World War, and survived clandestinely during the dictatorship of Primo de Rivera (1923-30). The CNT re-emerged to become the largest syndicalist organization in inter-war Europe, until Franco’s defeat of the Second Republic in 1939. 2. Théodore Jean, in the CGTSR journal Le Combat syndicaliste (Lyon/St. Etienne/Limoges) (hereafter CS), 21 December 1934. 3. The debate on the pre-1914 crisis in the CGT is best followed in the labour press, especially Le Mouvement socialiste (Paris), La Vie ouvrière (Paris) and La Bataille syndicaliste (Paris). Related secondary accounts include Nicholas Papayanis, Alphonse Merrheim. The Emergence of Reformism in Revolutionary Syndicalism 1871-1925 (Dordrecht 1985), Chs 4-6; Michael Sabatino DeLucia, ’The Remaking of French Syndicalism, 1911-1918: The Growth of the Reformist Philosophy’, PhD thesis (Brown University 1971), Chs. 2-3; Jeremy Jennings, Syndicalism in France. A Study of Ideas (New York 1990), Ch. 5; and Bernard Georges and Denise Tmtant, Léon Jouhaux. Cinquante ans de syndicalisme, Vol. 1 (Paris 1962), esp. Ch. 3. 4. On Griffuelhes, see Bruce Charles Vandervort, ’Voyage Révolutionnaire: The Life and Career of Victor Griffuelhes (1874-1922), French Labor’s Apostle of Direct Action’, PhD thesis (University of Virginia, 1989). 5. Not since Emile Pataud’s and Emile Pouget’s novelistic approach in Comment nous ferons la révolution (Paris 1909) had anyone attempted to profile in such detail the syndicalist revolution and post-revolutionary society. Besnard’s major works are Syndicats ouvriers et la révolution sociale (Gentilly 1930); Le Monde nouveau Son plan — sa constitution — son f,onctionnement 3rd edn (Paris 1934); L’Ethique du syndicalisme (Limoges 1938); and Pour assurer la p.aix Comment organiser le monde (Paris 1946). Additional titles include Syndicalisme et autorité (Paris 1928); La Responsabilité (Paris 1933); Anarcho-syndicalisme et anarchisme (Paris n.d. ); Le Fédéralisme libertaire (Paris 1946); and Le Problème des salaires (n.p., n.d.[1946?]). 6. Orto (Valencia), September 1932, 1. The CNT published Besnard’s Syndicats ouvriers in Spanish in 1931, and Monde nouveau originally appeared as articles in Orto, September 1932 to March 1933. 7. Xavier Paniagua Fuentes, Sociedad libertaria. Agrarismo e industrialización en el anarquismo español 1930-1939 (Barcelona 1982), 117. On Besnard, see 117-40. 8. Major studies of the pre-1914 CGT in the last decade include Jennings, Syndicalism; Jacques Julliard, Autonomie ouvrière. Etudes sur le syndicalisme d’action directe (Paris 1988); Barbara Mitchell, The Practical Revolutionaries. A New Interpretation of the French Anarchosyndicalists (New York 1987). Although cast as a biographical study, Vandervort’s ’Griffuelhes’ also offers a valuable overview of the pre-war CGT. 9. The Programme is reproduced in Georges and Tintant, op. cit., 1, 461-6. John N. Home details the process of the CGT’s embrace of labour reformism during the war in Labour at War. France and Britain 1914-1918 (Oxford 1991). See also the brief overview by Patrick Fridenson, ’The Impact of the First WorldWar on French Workers’, in Richard Wall and Jay Winter, eds, The Upheaval of War. Family, Work and Welfare in Europe, 1914-1918 (Cambridge 1988), 235-48. Kathryn E. Amdur extensively documents the varied response of the labour movement in Limoges and St. Etienne during the period in Syndicalist Legacy Trade Unions and Politics in Two French Cities in the Era of World War 1 (Urbana and Chicago 1986). See also her short overview of ’La Tradition révolutionnaire entre syndicalisme et communisme dans la France de l’entre-deux guerres’, Le Mouvement social, 139 (April-June 1987), 27-50. On inter-war reformism, see the overview provided in Daniel Blume, et al., Histoire du réformisme en France depuis 1920 (Paris 1976), Chs 3-4. 10. Quoted in Amdur, Syndicalist Legacy, 228. 11. On the pertinent CGT policies in the 1920s and 1930s, see Richard F. Kuisel, Capitalism and the State in Modern France. Renovation and Economic Management in the Twentieth Century (Cambridge 1981), Chs 3-4. 12. On the early Révolution prolétarienne (Paris), see Colette Chamberlain, ’La naissance de la Révolution prolétarienne’, Communisme. Revue d’etudes pluridisciplinaires, 5 (1984), 77-87, and Christian Gras, Alfred Rosmer (1877-1964) et la mouvement révolutionnaire international (Paris 1971), 309-49. 13. The Charter of Lyon is reproduced in CS, December 1926, and in Besnard, Ethique du syndicalisme 129-39; see esp. 132, 136-7. 14. Raymond Lefebvre, L’Internationale des soviets (Paris 1919), 10. 15. Besnard wrote on this occasion on behalf of a pro-Moscow minority within the CGT, the Comités Syndicalistes Révolutionnaires, which he then headed. Comité Central des Comités Syndicalistes Révolutionnaires (CSR), Projet de programme d’action et de réalization (Courbevoie 1921), 3. 16. Besnard, Monde n,ouveau 62. 17. The general strike remained the ultimate and distinctively syndicalist workers’ weapon for Besnard, although he recognized that it could not be legal and largely passive as some earlier syndicalists had maintained, but would necessarily be violent and insurrectionary. He discusses the varying circumstances in whichthe general strike might occur in Syndicats ouvriers, 219-47. 18. See esp. Besnard, Syndicats ouvriers, 224-34. Besnard’s initial formulation (233) called for workers prepared ’d’abandonner l’outil pour le fusil’ and ’de quitter le fusil pour l’outil’. Later, having witnessed the workers’ militias in the Spanish Civil War, Besnard altered this formula: ’il faut prendre le fusil, sans abandonner l’outil; qu’il faut mamer l’outil et avoir le fusil en bandoulière,’ Ethique du syndicalisme, 96. Besnard returned to the original formula in Fédéralisme libertaire, 24. See also Besnard, Monde nouveau, 88. 19. See esp. Besnard, Syndicats ouvriers, 286-96; Monde nouveau, Ch. 2; Orto, October 1932, 9-14. Earlier Besnard had defended the revolutionary agrarian policy in Russia. CSR, Projet de programme, 25-6. 20. Besnard, Syndicats ouvriers, 19. 21. On French scientific management, see Judith A. Merkle, Management and Ideology. The Legacy of the International Scientific Movement (Berkeley 1980), Ch. 5. Yves-Claude Lequin measures the extent of rationalization in ’La rationalization du capitalisme français: A-t-elle eu lieu dans les années vingt?’, Cahiers d’histoire de l’Institut Maurice Thorez, 31 (1979), 115-41. 22. Besnard, Syndicats ouvriers, 193-8. 23. Besnard, Ethique du syndicalisme, 16. 24. Besnard, Syndicats ouvriers, 21-2. 25. Ibid., 143. Besnard drew up an early version of the Charter of Lyon in 1921, at Gnffuelhes’s request. Besnard, Ethique du syndicalisme, 127. 26. See e.g., Besnard, Syndicats ouvriers, 113-16; Monde nouveau, 36. 27. Besnard, Ethique du syndicalisme, 123. 28. Besnard, Monde n,ouveau 8. 29. Besnard, Syndicats ouvriers, 343. 30. Besnard had in mind especially the views of the anarchist trade union movement in Argentina. He discussed ’Preparación o improvisación’ in the journal ofthe Spanish CNT, Solidaridad Obrera (Barcelona), 12 July 1931. See also his comments in Orto, September 1932, written after the fourth congress of the Syndicalist International failed to resolve the differences between supporters of Besnard’s plan of syndicalist rationalization and the spontaneists. Later, in 1938, despairing of the course of the Spanish revolution, Besnard argued that it provedthe need for careful preparation, without which ’too much will always be left to improvisation, this capital shortcoming of the Latin races in general’, Ethique du syndicalisme, 100. 31. Besnard, Monde nouveau, 9. 32. These were the tasks, respectively, of Besnard’s three main works, Syndicats ouvriers, Monde nouveau and Ethique du syndicalisme, ’cette trilogie inséparable’.Ethique du syndicalisme, 123. 33. Although they disagree on much else, the following authors agree that pre- 1914 syndicalism was in one way or another a backward-looking movement: see, e.g., Bernard H. Moss, The Origins of the French Labor Movement 1830-1914 (Berkeley 1976), 159-60; Peter N. Steams, Revolutionary Syndicalism and French Labor (New Brunswick 1971), 19, 104-5; René Garmy, Histoire du mouvment syndical en France, Vol. 1 (Paris 1933), passim. 34. Besnard, Syndicats ouvriers, 126; see also his ’Syndicalisme’, m Encyclopédie anarchiste ed., Sebastien Faure (Paris, n.d. ), 4: 2702. (Paris 1969), 96; for Besnard see CSR, Projet de programme, 20; Syndicats ouvriers, 101, 145, 150. 36. Besnard, Syndicats ouvriers, 140, 150-1. 37. Besnard, Monde n,ouveau 15, 40. 38. CS, 31 August 1934. On the CGT and inter-war rationalization, see, e.g. CGT, Congrès confédéral de Paris (Paris n.d. , 205-6. The Communist dominated CGTU, aware of the economic rationalization under way in the USSR, opposed rationalization in a capitalist, but not in a socialist, system. See CGTU, Congrès national ordinaire (Pans, n.d. ), 571-2. 39. Besnard, Syndicats ouvriers, 316. 40. Besnard, Ethique du syndicalisme, 12, 11. 41. Besnard, Monde nouveau, 12, 17, 19-22, 29-30. 42. Saint-Simon had much earlier urged the unification of scientists, technicians and workers (and industrialists as well) as ’les industriels’, but not in a social order of collective ownership and management. Besnard’s more immediate influence was probably Griffuelhes, who had been arguing in 1919-20 that only the union of manual and mental workers would enable the labour movement to vie with capitalists and the state for the control of production. Vandervort,’Griffuelhes’, 570-2. 43. Besnard, Syndicats ouvriers, 144; also 13, 258. See also the 1921 Projet de programme, 13, 15,21. 44. Besnard, Syndicats ouvriers, 263, 266-7. 45. Ibid., 198-201. A third fundamental demand (201-6) was for union control of production, a defensive-offensive demand, unlike the reduction of the work day and a single wage, which were complementary but defensive or at most ’defensive-active’ demands (194). 46. The European dimension is adroitly discussed in Charles S. Maier, ’Between Taylorism and Technocracy: European Ideologies and the Vision of Industrial Productivity in the 1920s’, Journal of Contemporary History, 5 (1970), 27-61. For an overview of technocracy in France, see Jean-Philippe Parrot, La Représentation des intérêts dans le mouvement des idées politiques (Paris 1974), Ch. 3. Richard F. Kuisel discusses the best-known inter-war example in Ernest Mercier. French Technocrat (Berkeley 1967); see also his Capitalism and the State, esp. Ch. 3. 47. Besnard, Monde n,ouveau 37. 48. Besnard, Syndicats ouvriers, 124. 49. Especially in Monde n,ouveau Chs 4-5, which gives a fuller account than that originally published in Orto, January, February 1933. 50. See Besnard in CS, 7 September 1934, and Monde nouveau, 97-9. 51. Besnard, Monde n,ouveau 98-9. 52. This is Jean Maitron’s error in Le Mouvement anarchiste en France, 2 (Paris 1975), 59. Maitron’s later biographical entry on Besnard (Dictionnaire biographique du mouvement ouvrier, ed., Maitron, 19 [Paris 1983], 111) drops this claim. 53. CS, 9 March 1934. This phrase often appears on the masthead of CS from this date. 54. Besnard’s rivals of La Révolution p,rolétarienne who took the pre-1914 syndicalist motto ’le syndicat suffit á tout’ literally and who embraced without qualification the slogan ’power to the unions’, dissented. Whereas Besnard believed it essential, in short, that the interests of man as producer and as consumer of public services be separately represented, Révolution prolétarienne insisted (10 July 1936) that both be represented only by producers’ organizations, and detected in the postulation of communes alongside the unions ’a residue of belief in the necessity of the state’. Besnard saw the undiluted concentration of authority in the slogan ’all power to the unions’ as ’totalitarian and dictatorial’. CS, 24 July 1936. Georges Valois’s syndicalist Nouvel âge (Paris) (15-16, 17, 19-20 July, 2-16 August 1936) joined in the debate. 56. Elbow, French Corporative Theory, 1789-1948 (New York 1966), 102. See also on corporatism in France, Kuisel, Capitalism and the State, esp. Ch. 4; Parrot, La Représentation des i,ntérêts esp. Ch. 1; and Martin Fine, ’Toward Corporatism: The Movement for Capital-Labor Collaboration in France, 1914-1936’, PhD thesis (University of Wisconsin 1971). Charles S. Maier, Recasting Bourgeois Europe (Princeton 1975), discusses the conditions in inter-war Europe that undermined faith in parliamentary government and made the corporatist alternative attractive. 57. Besnard, Syndicats ouvriers, 32. Besnard insisted that there was no ’general interest’ in a capitalist society, a ’fiction’ that encouraged class collaboration. Orto, June 1932, 3. See also Syndicats ouvriers, 31-48. 58. CS, 25 May 1934. 59. Besnard, Syndicats ouvriers, 327. Besnard clearly supported equal pay for equal work in his single wage proposal, but he rarely discussed gender relations at length except in the context of education. See ibid., 316 and 320-8 (where he depends heavily on the work of James Guillaume); Ethique du syndicalisme, Ch. 2. 60. On regionalism, see Besnard, Syndicats ouvriers, 158-65. 62. The 4000-20,000 estimate appears in Jean Rabaut, Tout est possible! Les ’gauchistes’ français 1929-1944 (Paris 1974), 224; the 5000-6000 figure is offered by Claire Auzias, ’Mémoires libertaires: Lyon 1919-1939’, doctoral thesis (Université Lyon 1980), 158. 63. CS, 24 January 1936. 64. On Lyon, see Auzias, ’Mémoires libertaires’, 159-60. 65. The figures are those of Jean Maitron, Dictionnaire b,iographique 19: 111. It is even more difficult to assess the influence of the CGTSR’s rival, Révolution prolétarienne as a propaganda journal, but some measure is provided by its regularly published subscription figures, which peaked at 1411 in 1933. 66. Differences over industrial unionism had already surfaced in the pre-war CGT. Perhaps the best example is to be found in La Bataille syndicaliste (23 January-26 February 1914), wherein Victor Griffuelhes called for greater union coordination by strengthening intersyndical ties between craft unions and Alphonse Merrheim for greater centralization through industrial unionism. 67. See Claire Auzias, ’La CGTSR, 1926-1928: un épisode de decentralization syndicale’, Le Mouvement sociale, supplement to 144, October-November 1988, 58-60; Auzias, ’Mémoires libertaires’, 126-39, 147; Amdur, Syndicalist Legacy, 239-40, 242, 246, 260; and Samuel Jospin, ’La Confédération Générale du Travail Syndicaliste Révolutionnaire. A travers son journal "Le Combat Syndicaliste" (1926-1937)’, Mémoire de maitrise, 1974, Centre de recherches d’histoire des mouvements sociaux et du syndicalisme, Paris, 117-19. 68. Very few industrial unions were founded in the CGTSR. Besnard mentions industrial unions of building workers in Paris and Lyon. Syndicats ouvriers, 151. The Syndicat Unique du Bâtiment in Lyon slightly predated the CGTSR, whose formation it promoted and whose regional mainstay it became. Auzias, ’CGTSR’, 57. 69. See Amdur, Syndicalist Legacy, 242. 70. Besnard, Syndicats ouvriers, 110. 71. The demand is most evident in CS in 1928-9. 72. Amdur notes that this was true regarding the shoemakers of Limoges and the metalworkers in the Loire. Syndicalist Legacy, 242. 73. Quoted by Racamond, Vie o,uvrière 12 May 1922, m questioning the antistatist nature of syndicalism. 74. Daniel Colson’s interesting study asserts that the term was introduced only in the polemics of 1921. Anarcho-syndicalisme et communisme. Saint-Etienne 1920-1925 (Saint-Etienne 1986), 19-20. But the term occurred in pre-war polemics as well, for example in Charles Rappoport’s indictment of the CGT Left in articles in the Guesdiste journal Le Socialisme (Paris) in August 1908. 75. CS, December 1926. 76. Révolution prolétarienne altered its subtitle in January 1930 from ’Revue syndicaliste communiste’ to ’Revue bimensuelle syndicaliste révolutionnaire’. 77. CS, 28 May 1937. 78. Monatte in Révolution prolétarienne 15 February 1926, 17; Maurice Chambelland in ibid., August 1926, 16. To Révolution prolétarienne Besnard sought to establish an anarchist trade union movement. Besnard indeed saw anarchosyndicalism as uniting anarchist objectives of abolishing state authority with the union structure of revolutionary syndicalism. Of syndicalism and anarchism Besnard wrote that ’the first provides a vehicle for the second and the latter is the final goal of the former’. CS, September-October 1930. But just as the Charter of Amiens declared the unions independent of both parties and sects, meaning anarchist groups, Besnard insisted that while independently organized anarchists had a complementary ideological role to play outside the workers’ organizations, they were simply individual members within the unions, whose direction must always remain exclusively in the hands of the workers, free of the direct or indirect influence of all outside groups. ’Anarchism assists the anarchosyndicalist movement, without substituting itself for it’: Besnard, Anarcho-syndicalisme et anarchisme 10. 79. Despite Besnard’s hopes in this regard. Ethique du syndicalisme, 53. 80. Besnard could console himself that the spontaneous, massive strikes of May-June 1936 were occupation strikes, which he had predicted as the next stage in the natural evolution of workers’ control, and he saw in them a new highwater mark of co-operation between manual and mental workers, a significant step toward his synthesis of class. Ethique du syndicalisme, 29; see also CS, 5 June 1936. 81. Argence: quoted in Maitron, Mouvement anarchiste 2: 60; Chambelland and Monatte: Révolution prolétarienne August 1926, 16; 15 July 1927, 2. 82. During discussions of CGT-CGTU unification, the CGTSR promoted unity of the ’revolutionary syndicalist forces’ by inviting syndicalist autonomists and minorities in the CGT and the CGTU to a unity conference, but to no avail. CS, January-February, April 1931. 83. The membership of the reunified CGT increased rapidly in the Popular Front period from 785,728 at reunification to about four million early in 1937. In 1939 membership had declined to about 2,500,000. Antoine Prost, La C.G.T. á l’epoque de Front Populaire: Essai de description numérique (Paris 1964), 37-48. 84. CS, 1 March 1928. 85. Pierre Monatte, Trois scissions syndicales (Paris 1958), 153. 86. Amdur errs in putting Besnard at the head of the Syndicalist International from 1923. Syndicalist Legacy, 397, n. 16. Maitron similarly errs in attributing the Secretaryship of the CGTSR to Besnard from 1929. Dictionnaire b,iographique 19. 111. Besnard exercised his dominant influence in the organization through membership in its Administrative Committee and through CS, leaving the Secretaryship to others. 87. See CS, 23 and 30 October 1936. 88. Relations between the CNT and the International during the Spanish Civil War are briefly discussed in Wayne Thorpe, ’Syndicalist Internationalism before World War II’, in Marcel van der Linden and Wayne Thorpe, eds, Revolutionary Syndicalism: An International Perspective (Aldershot 1990), 252-7. 89. Circular 13, 1 July 1937. AIT Congres 1937, Rudolf Rocker Archives, International Institute of Social History, Amsterdam. 90. T,ypographie français 16 November 1913. 91. EB,theiquse dnu sayndricadlis,me 139. 92. Besnard, Syndicats ouvriers, 23, 343. Proudhon’s influence on Besnard is also clear. See for example Besnard’s ’Syndicalisme’, Encyclopédie a,narchiste 4: 2702, and CS, 24 July 1936. 93. An oral history of libertarian unionists active in the inter-war Lyon area produces a list of their ’inspirateurs’ limited to Proudhon and Bakunin as theoretical forebears, Fernand Pelloutier as the practical creator of the movement, seconded by E. Pouget and V. Griffuelhes, with only one name from the inter-war period: that of Besnard. Auzias, ’Mémoires libertaires’, 165. 94. On Griffuelhes’s post-war waverings see Vandervort, ’Griffuelhes’, Ch. 11. CS reappeared in Paris in 1945 and in April 1947 became the organ of the Confédération Nationale du Travail, formed in May (founding congress in December) 1946 as a continuation of the CGTSR. Abandoning his former strategy at the end of his life, the ailing Besnard counselled against its creation, advising anarchosyndicalists to work instead within the Communist-dominated CGT. See the memoires of Amédée Domat in Jacques Caroux-Destray, Un couple ouvrier traditionnel La vieille garde autogestionnaire (Paris 1974), 190-3. Once the new confederation appeared, Besnard apparently gave it his blessing only reluctantly. The otherwise laudatory obituary of Besnard in CS (April 1947) refers to his advocacy of ’certain momentary alliances’ as a mistake. Like the CGTSR, the new confederation — which invoked Besnard’s works as prefiguring future society (CS, February 1948) — led a marginal existence. Le Combat syndicaliste continues to be published in Paris. 95. Révolution P,rolétarienne 10 July 1936; N,ouvel âge 2-16 August 1936. 96. Pelloutier, Histoire des Bourses de Travail (Paris 1902), 155. 97. Monatte, Trois Scissions, 152. 98. Frank E. Manuel, The Prophets of Paris (Cambridge, MA 1962). 99. ’The Soul of Man under Socialism’, The Complete Works of Oscar Wilde, ed., Vyvyan Holland (London 1966), 1089. Wayne Thorpe is Associate Professor of History at McMaster University, Hamilton, Ontario. He is author of The Workers Themselves: Revolutionary Syndicalism and International Labour 1913-1923 (1989) and co-editor of Revolutionary Syndicalism. An International Perspective ( 1990). When Besnard became the General Secretary of the Syndicalist International in 1936,86 moreover, his schismatic and sectarian propensities, combined with the pressure of events in a Spain in civil war, led to a crisis within the International. In Spain, where a social revolution initially accompanied the civil war, the hard-pressed CNT soon believed it necessary to subordinate its revolutionary programme to the war against Franco. Above all the formal militarization of the informal militias originally fielded by the Spanish labour organizations, and the participation by CNT representatives in the Catalonian and later the national Republican governments, symbolized this suspension of syndicalist principles. Besnard was among the first foreign syndicalists publicly to criticize CNT leaders, 81 who regarded external reproaches as inappropriate in a period of civil war. 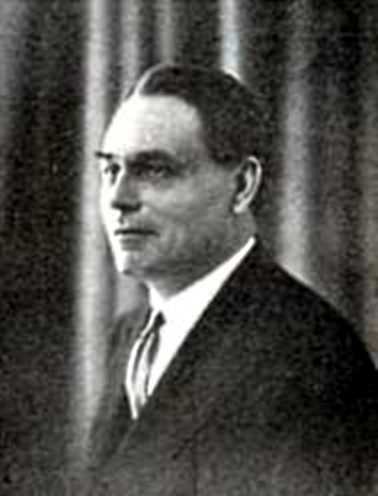 Disagreements between Besnard and the CNT over foreign propaganda and fund raising on behalf of the Spanish syndicalists further embittered their relations .81 Critical of its ideological deviations and fearful that the CNT might abandon the International, Besnard in July 1937 canvassed the International’s national affiliates, except the CNT, on possible support for an internal opposition within the Spanish organization .81 The Secretary of the International was considering splitting its largest national affiliate. The crisis led to an Extraordinary Congress of the International, with 11I countries represented, in Paris in December 1937, in which both CNT leaders and Besnard came in for heavy criticism. Besnard took the view that his writings had established proper syndicalist strategy; had the CNT only followed it, all would have been well in Spain. For their part, the Spaniards insisted that Besnard never hold office within the International again. The role that Besnard had more than once played in the French labour movement - of precipitating an organizational crisis in the name of ideological purity - he also played in the international arena. The CNT not only sought to recall Besnard from the IWA Secretaryship, they also pulled all international solidarity work (read fund raising) from the IWA as well. To replace the IWA's work in this field, the CNT-FAI launched the "Solidaridad Internacional Anti-Fascista" (SIA). The SIA existed well past the end of the Franco, whose central headquarters was in Toulouse, FR. Are any of Besnard's works available in English? Besnard also had an ambiguous role during the Occupation which has never really been fully clarified. What do you mean? Specifics would be good. I ask, cause I don't know about him in this period. Ah, see what you mean. I saw what David Barry has written (in "A History of the French Anarchist Movement, 1917-1945") about Besnard under occupation. Taking the concept of "boring from within" a wee-bit far. Yes, I saw that source reference.